Nancy Group of colleges is one of the prestigious institutions of higher learning,being run by the MATA RAMESHWARI DEVI MEMORIALTRUST,Samana. Founded nearly 6 years back, the trust made pioneering efforts in organizing and spreading secular education in Samana, Distt Patiala, Punjab The institutions run by the group made a mark in their respective areas for the high standards of education imparted and for quality of students produced. Nancy Group of colleges was the first institution of higher education established in Samana & has rendered yeoman service in the field of higher education. Nancy group of Industries are renowned manufacturers of Outer Shipper Cartons. The Industry is in existence since 1996. The Industries comprises of two units under the name of Nancy Packaging Pvt. Ltd and Nancy Paper Products Pvt. Ltd. We have a set up of Industrial Units in Samana, Patiala (Punjab) at about 2.5 acres of land having ample space for storage of our raw materials and finished goods. Our production capacity is of about 20000 shippers per day. We have ample space for storage of different paper sizes of raw material throughout the year. We have installed modernised machinery and equipments for our production purposes and in-house printing . The machineries are as per the quality requirements and specification of our buyers. Our units work for 24x7 with around 150 employees. We have achieved good quality standards in production processes in last 15 years. A library is the real centre of learning in any institute where knowledge is stocked in the form of books, magazines, journals etc. Students can learn far beyond in the library than what is taught in the classroom. The College has very spacious and well stocked library. It provides a healthy environment for learners. The canteen is provided with modern furniture and electrical automatic cooking and storing facilities, which provides hot lunch, snacks and beverages both to the students and staff at reasonable rates. It is well maintained with efficient service and a take away counter. The College has a Canteen inside the campus in which variety of dishes are available at reasonable rates. The canteen remains open on all working days. Beverages of different flavours are served on different days according to different seasons. 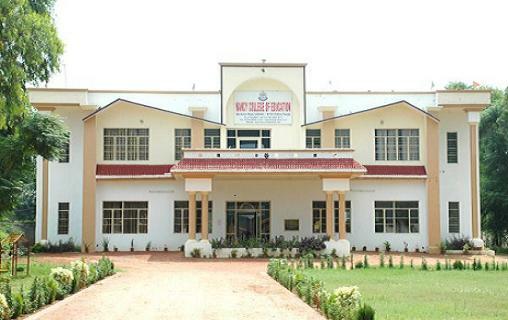 Admission Open for B.Ed and Engineering Diploma Courses 2012.